This book does answer a question that had perplexed me for a while; what in the world inspires Hirsch an apostolic movement through missional, organic church planting to move to the US, home of the mega-church and all things bigger and better, a few years back. 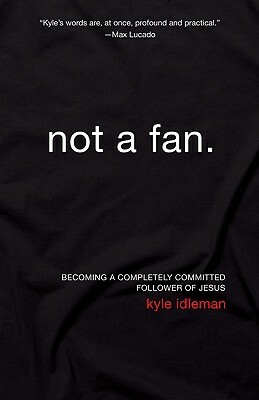 In line with this thinking has been the creation of a learning group called Future Travellers, “a two-year learning cohort initially composed of twelve megachurches… committed to seriously factoring missional movements into their current equation of church… a major commitment to somehow reframe their relative churches as high-impact, exponentially reproducing, missional movements.” p24 This book represents an effort by Hirsch and Ferguson to articulate this “dynamic learning journey.” p24. While I remain sceptical of attempts transform an entrenched, existing structure, particularly one as complex and large as a megachurch, I was intrigued by the idea and pray for it’s success. For what it’s worth I think rather than attempting to turn a battleship, that is a large or mega church, rather we should set aside and release smaller, more flexible, mobile missional teams in order to begin exploring new ways to do church. This to me is a more likely both-and scenario than the one Hirsch and Ferguson are attempting. Confessing that might explain why I found the sections Hirsch (strategist and missional theologian) wrote far more interesting and stimulating than those Ferguson (megachurch pastor and network leader) wrote (although I found his two chapters on innovation very helpful). Hirsch admits that those familiar with his writings will find that while there is some new material here, it is fundamentally an attempt to “process and apply” some of his previous writings most notably The Forgotten Ways. If you have read Hirsch before you will find here a good synopsis and some interesting application of his work. You will find some of the usual themes like “dethroning Constantine”, systems theory, apostolic genius and the paradigm shift in the West needing to be mirrored by a paradigm shift in mission/church methodology. It is always good to “watch” as a thinker/strategist is forced to work through their thinking. If you have never read Hirsch before – read him! You probably won’t agree with everything he says but no matter where you land when you put his book down you will have been stimulated to think in new directions, consider new alternatives and be inspired to genuine mission to a changing world. If you are a leader in an existing more traditional structure then read this book, it will probably be an even better read for you than The Forgotten Ways, Hirsch’s previous book. However, if you are more interested in the missional, organic church movement then read The Forgotten Ways or The Shaping of Things to Come (with Micheal Frost). 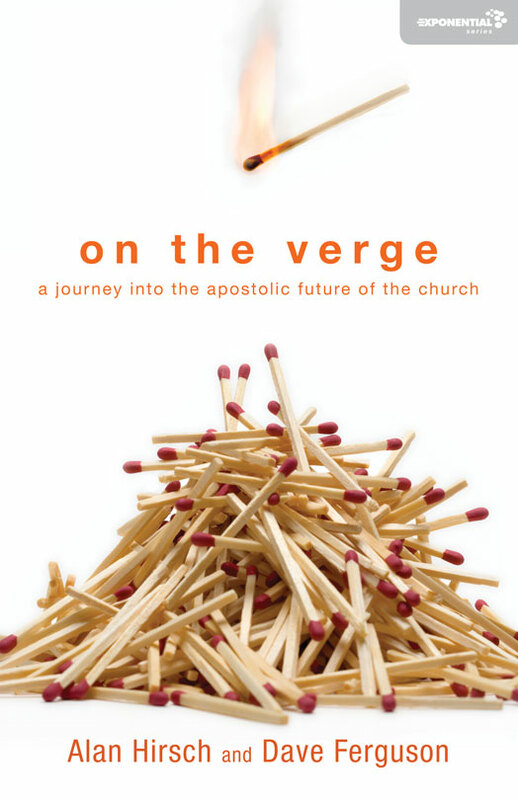 This entry was posted in Books, Church, Missional and tagged Alan Hirsch, Apostolic Movement, Church Planting, Dave Ferguson, Megachurch, Missional, On the Verge, The Forgotten Ways, The Shaping of Things to Come on October 14, 2011 by John. Tim Chester has posted the final extract from his new book “A Meal with Jesus”. This entry was posted in Books, Community, Missional and tagged A Meal with Jesus, Communities of Light, Tim Chester on August 1, 2011 by John. I have watched a few of Andy Stanley’s teaching series before and enjoyed them but I have never read any of his books. So I thought this might be a good time to check one out. I was also doing quite a bit of reflection about my life and direction at that time so this seemed like it could be a good book to read. The most redeeming feature, however, was that it was an easy read so I did not have to waste more than a weekend reading it! It falls into that stereo-typical American popular (Christian?) authorial style – of inane stories, massive repetition and superficial content. As I said I have been encouraged by some of Stanley’s teaching and was quite frankly disappointed. While the book certainly talks about God and his role in our lives and encourages us to know him and submit to his plan, there is very little gospel in the book. The agent for change is very often right thinking, self-awareness, self-improvement or at times minor scale legalism. At some points I found myself wondering if I substituted the obvious references to God in certain sections whether a non-Christian author could have written something very similar. Not that I think Stanley is anything other than, from what I have seen, a man deeply committed to Christ and has a strong grasp of the sovereignty of God, the all-encompassing nature of Christian discipleship and a deep love for Jesus. I am, however, disappointed in this book and probably won’t ever read any of his other books. In one sense there is nothing wrong with this book in its theology and message. There is just nothing unique or memorable about it. It’s main theme is neither new nor original. The content has been done before – just better! The writing style is bad – sentences are often clumsy and badly written. And despite his constant attempts at humour, he is just not funny – certainly not to anyone over 18 would be my guess. Just because you have a good idea does not mean that you ought to write a book. Like the above book the author may have been better served writing a pamphlet – such is the lack of substance to fill an entire book, padded out by needless repetition. Note: These reviews are way overdue but I hate writing content like this so true to my nature I have procrastinated until I forced myself to be done with this and write them. 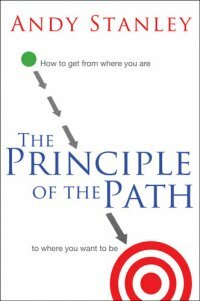 This entry was posted in Books and tagged Andy Stanley, Kyle Idleman, Not a Fan, The Principle of the Path on July 25, 2011 by John. This entry was posted in Books, Culture and tagged A Meal with Jesus, Engaging Culture, Tim Chester on June 28, 2011 by John. As a sidenote – washing up must be Tim’s favourite analogy or illustration for almost anything. He has even done this talk on “The Theology of Washing up”. Actually a really great talk – well worth a listen. But I must confess when I stayed with Tim for a few days a couple of years back, I remember trying to figure out where to put all the dishes when you did the washing up… those English kitchens are rather narrow! This entry was posted in Books, Church and tagged Everyday Church, Steve Timmis, The Theology of Washing Up, Tim Chester on June 9, 2011 by John. There are few contemporary authors who have influenced me as much as Tim Chester. The Gospel-Centred Church (co-authored with Steve Timmis, and later expanded in Total Church) & Good News to the Poor were books that both radically changed my thinking, as well as giving words to a general unease in my soul when it came to contemporary church. Neither of these books are simply easy-out deconstruction of contemporary evangelicalism but are an attempt to address significant issues with solid theological reasoning and a call to a radical gospel-centred, counter-cultural lifestyle. 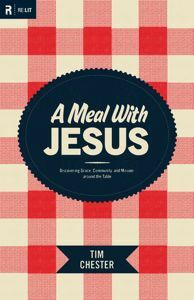 This entry was posted in Books, Community, Missional and tagged A Meal with Jesus, Community, Eating Together, Missional, Tim Chester on June 8, 2011 by John.